In February 2012 the Rt. Rev. Greg Rickel, Bishop of Olympia, and the Rt. Rev. Danilo Bustamante, Bishop of the Episcopal Diocese of Southern Philippines (EDSP), signed a Covenant for Caring of All Creation, in which the two dioceses agreed to establish a carbon offset partnership. As part of that partnership, the Diocese of Olympia agrees to encourage the funding of carbon offsets from the EDSP, which will be used to offset our carbon emissions from travel by clergy, staff and others from all across our diocese. Likewise, the Diocese of the Southern Philippines will be using the funds for various reforestation projects to create these offsets at $25 per ton of carbon sequestered. There is a link included below to help calculate your carbon footprint. By April of 2014 we had donated over $10,000 for Carbon Offsets which have funded the tree nursery in Upi in the Diocese of Southern Philippines. 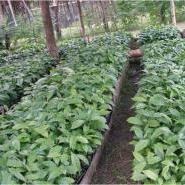 Over 7000 trees were transferred from the nursery to help with reforestation there. The nursery not only is helping with carbon sequestration but it also is creating jobs and income. 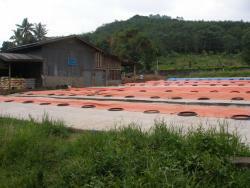 Rubber trees, mahogany, coffee, and other tropical varieties are being grown. In the summer of 2014 a delegation from the EDSP visited the Diocese of Olympia traveling to several churches and seeing our work lowering our carbon footprint. In 2017, this relationship between the two diocese was renewed for another five years. You can learn more about the covenant and Bishop Rickel’s journey to the Philippines, including more photos and video, on his blog. More information on this cooperative mission will be available on this site in the coming days. Meantime, you can also learn more about the Bishop’s Committee on the Environment, whose members are partnering in this cooperative mission. To donate to the Carbon Offset Cooperative Mission, visit our Give Now page and scroll down to Login or New Mission Supporter to go to our Contribution page. Once there, scroll down the list of Fund accounts to the Carbon Offsets Philippines account and purchase your Carbon Offsets at $25 per ton of CO2. Click here to Give Now. To calculate your own carbon footprint, use the Environmental Protection Agency’s calculator, which the Bishop’s Committee on the Environment has recommended as its calculator of choice.